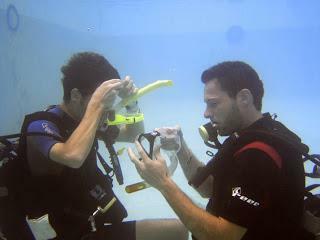 BCD dump-valves, not part of PADI training? On one of my open water dives for PADI Certification, I was practicing neutral buoyancy. I got above the platform and tried to reach for it, but my BCD had become too buoyant. I was going up and didn’t think to use my dump valve at the bottom of my BCD. I got help from another diver and regained neutral buoyancy. Why doesn’t PADI cover using dump valves for different orientations? My situation could have gone critical if I was further down and didn’t have help. My NAUI course covered it. I wonder if it’s shop specific on whether it’s covered. I am a Divemaster at a local shop who teaches PADI and we cover it in the OW class and Peak Performance Buoyancy class. It could be the dive shop. We learned that in my ow class but that was 16 yrs ago. We covered it briefly but it’s good to practice. Thanks everyone, I plan to periodically practice so that it is automatic. Ditto what everybody else said. It was covered in my open water class both when we were going over the gear and in the water. We did not cover it in my class. I often use my dump valve as I have trouble with my left shoulder and getting the air out. I thought I was cheating or doing something wrong but I have since seen others that use it as well. Is there a problem with using it or any potential issues? Maybe the valve getting stuck open although I have not heard of this happening. First, using dump valves is not a problem. Part of the pre-dive check is to verify that the dump valves work and don’t get stuck. Next, your bottom dump valve is the only way to release air if you’re upside down. Try it next time you are out. This sounds like an instructor error on their part. I go over every single function of every piece of equipment that my students use. Maybe look for a better instructor for future training, best of luck to you!! I just realized something reading through these posts. My shoulder hose is my alternate air source. If I have to share air and control an ascent, my only air outlet will be the dump valve. Hopefully I never have to do this but definitely something I am going to have to practice. Don’t want to learn the hard way. PADI PRO Training Block for Veterans!